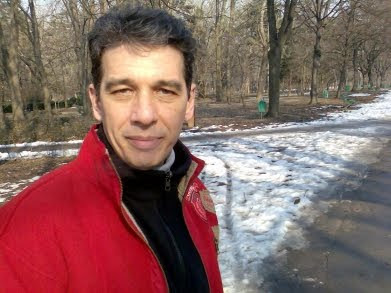 I hope you’ll have a 2010 as you wish to be and better than 2009. May the new year bring you health, joy and the fulfillment of all your wishes. And may you have an amazing journey through the 365 days of 2010. The end of year is also a time of drawing a line and making a balance. I set a few reading goals at the beginning of the year and now is the time to take a look at them. There weren’t many of them achieved but despite of this I am quite pleased with this reading year. I know that I didn’t manage to read as many books as I would have liked but I was close to my average. 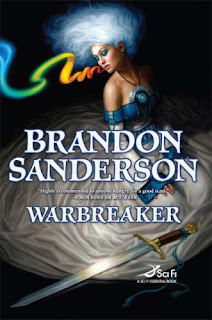 I finished 48 books in 2009, counting here Brandon Sanderson’s “Warbreaker” too, from which I have only 20 pages left and it will be finished until the end of the year. 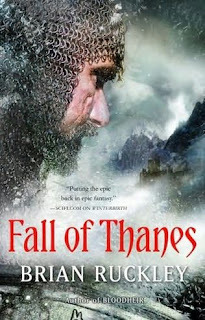 From the 48 books, 45 were reviewed on my blog and for the other 3, T.A. Moore’s “The Even”, Marian Coman’s “Nopti albe, zile negre” (White nights, black days) and Julio Cortazar’s “Bestiario” (Bestiary), I am not certain if I will write one. It was a very good year since from the 48 books I read with only 4 of them I was dissapointed. At the beginning of 2009 I had a list of titles I was looking forward to read and from the list of 18 titles I read 8 of them (with 4 titles from that list not published this year). The goal I failed to achieve at any level is the work on my Pile O’Shame. Unfortunately once again I neglected those books and I failed to start reading these series. However I have to seriously consider the series list for the reading goals of 2010, but this time with a strong self push from behind to really start reading them. As for my blog, I know that in the last couple of months weren’t any posts about fantasy art, but due to some hectic time at work and some interviews that are still waiting for their answers, I didn’t manage to keep them posted. But this will certainly improve and the fantasy art posts will come back next year, in full force I hope. Also I have in plan a few interviews with some wonderful writers and hopefully those will be successfully made. But I’ll post about all my reading and blogging goals for the next year at the beginning of 2010. I would like to wish you all a Merry Christmas! May you enjoy amazing holidays and have a wonderful Christmas. And may Santa be generous with you. Merry Christmas! 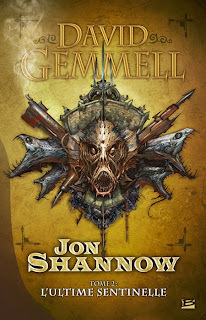 I’ve seen this cover artwork today on Aidan’s A Dribble of Ink and Mark Charan Newton’s blog and I can’t help myself not make a post about it too. The reason for this is that I loved Mark Charan Newton’s novel, “Nights of Villjamur”, one of the best I read this year and which will make an appearance on my top 10 at the end of the year (I still don’t know on which position though ;)) and because I was caught by Mark’s series and I am looking forward to see how it will develop. 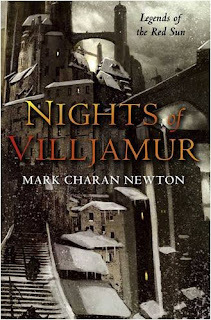 There were quite a few discussions around the cover artwork for Mark’s novels or the different editions of his “Nights of Villjamur”. Speaking of “Nights of Villjamur” though I know that I am very subjective, I read the novel and I know what hides between the covers, so it is impossible for me to separate the story from the book cover. 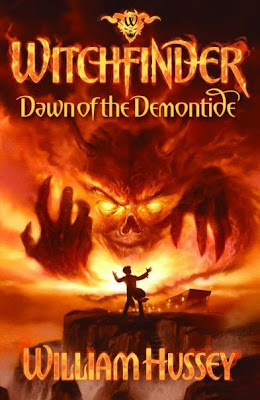 Therefore I admit that I like more the cover artwork for the first edition, published in hardcover by Tor UK, because it catches the best the image and atmosphere of Villjamur. A multilayered city, with its bridges and levels, covered in snow and with a dark atmosphere. 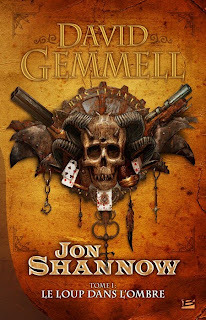 The cover for the US edition published by Bantam Spectra next year goes for a similar image, but it doesn’t work for me that much. 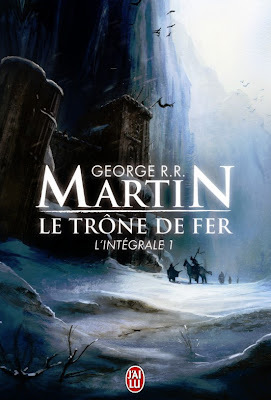 The city walls are good, a bit repetitive but good, a snow covered landscape and wonderful ice flowers behind the title. 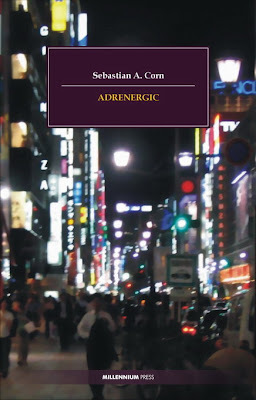 But the image of the city misses its core (as it is depicted on the UK cover) and the atmosphere seems to be too light and relaxed in the context of the story. So, once again I have to say that for me Tor UK comes with the best cover artwork for “Nights of Villjamur”. 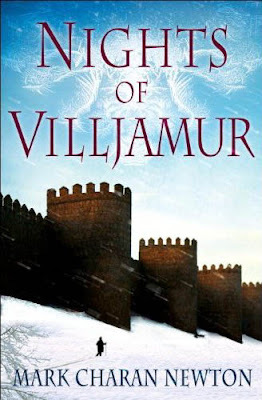 But I also have to say that despite the artwork featured on the cover “Nights of Villjamur” fully deserves to be read, because it is a very good novel. 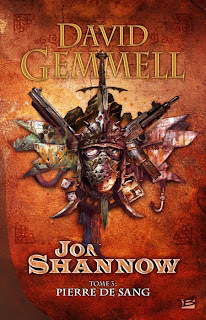 and because the readers play an important part in choosing the nominees and the winner of the David Gemmell Award. I returned a bit this year to my childhood years with the reading of the children’s novel with which Sarah Prineas made her debut, “The Magic Thief”. Now my memory time travelling was continued with the second novel of the series, “The Magic Thief: Lost”. 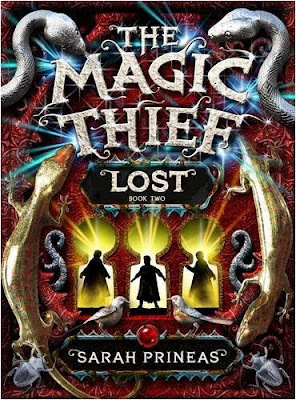 I’ll start my review by saying that for the readers unfamiliar with the first novel it is better to start with “The Magic Thief”, because “The Magic Thief: Lost” holds many threads linked with the first novel of the series. But for those who read and enjoyed the previous novel “The Magic Thief: Lost” offers a return to the familiar setting and characters. Obviously, in the center of the story I found Connwaer, the young pickpocket thief who became a wizard’s apprentice and who discovers a new link with the magic. 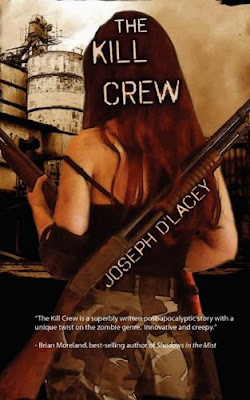 Conn begins a new journey in this novel, a bit darker and dangerous than the previous one, and with deeper connections within the first story. So, the story line becomes more complex, but with it the Conn’s character becomes stronger. It is true that Conn is quieter than in “The Magic Thief”, but he remains the same fresh character and his emotions reach new limits. 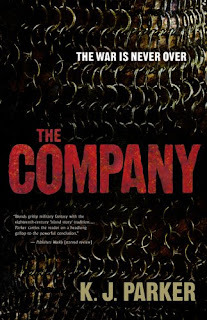 With Conn I found his old friends, Nevery, Benet and Rowan, but this time Nevery and Benet play a smaller part and they are only scarcely present. Still Nevery remains the same grumpy and beautifully shaped wizard, while Benet is still the same quiet bodyguard with a few surprising but amusing preoccupations. However, the magic doesn’t suffer a downfall and the child in me, and not only him, was fully satisfied by it. Once again Sarah Prineas brings the magic language into play, making from this a very interesting and attractive aspect. There are a few more spells found in “The Magic Thief: Lost”, but I was glad to find again the Embero spell. And this time it offered a different outcome, but as pleasant as the first time I’ve seen it. 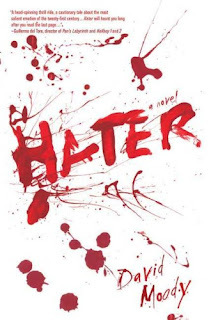 As I said the story becomes a bit more complex and although the first half of the novel seems a bit slow Sarah Prineas kicks the things into motion in the second half and the novel benefits from more action. Further on, the world of “The Magic Thief” books becomes wider, the reader stepping outside the main setting of the first novel, Wellmet, and travelling to new locations. Also a new negative character enters the scene, who proves to be more challenging for Conn and who is darker and more cruel than the previous ones (with a particular scene that I find to be too violent and vicious for children). I really enjoyed “The Magic Thief” and I am happy to say that I found “The Magic Thief: Lost” to be even better than its predecessor. Sarah Prineas wrote a novel that I would have loved if I have read it in my childhood, but which I truly enjoyed as much as an adult too. It remains only to see what adventures await Conn in the next novel. 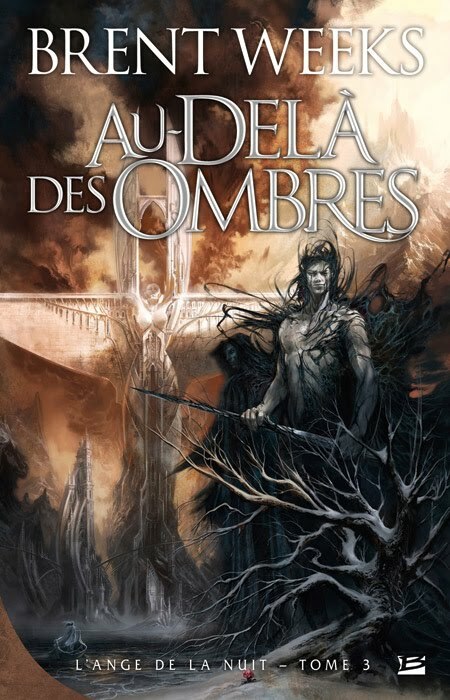 I remain on the French publishing market for two other amazing cover artworks, made for one of the best fantasy series ever, George R.R. 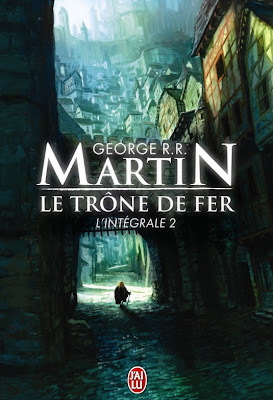 Martin’s “A Song of Ice and Fire”. The series is republished by J’ai Lu, in an integral form and in a new format, with the first two volumes being available from January 2010. The novels benefit from two amazing artworks on their covers made by the French artist Marc Simonetti and I am very happy to say that I had the pleasue to interview Marc Simonetti here on my blog and to discover that he continues to create wonderful works. 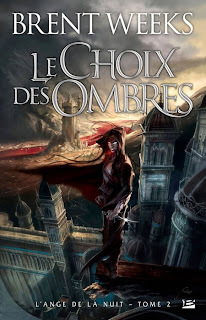 I also have to say that the work put by the French publishers behind the cover artworks is praiseworthy and I would certainly like to always delight myself in book covers such as these two. I will be completely honest and admit that I am not familiar with the Pamela Freeman’s works. More so, despite the fact that I’ve read some interesting reviews of her Castings Trilogy novels, “Blood Ties” and “Deep Water”, and I’ve noticed the release of the third one, “Full Circle”, this month I didn’t feel the need to dig further on or to read the synopsis of the novels. And believe me not all my reasons are very clear. 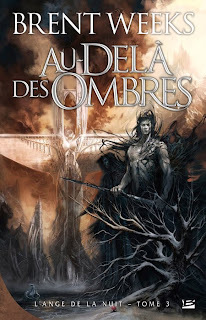 But, being a passionate of fantasy art and looking over a few book covers this week I’ve noticed the cover artwork for the French edition of Pamela Freeman’s novels and they certainly picked my curiosity. I am very much aware that being attracted by the cover artwork is not the most solid argument for picking a book, but it offers a strong start and plays quite a role in that. It worked very well for me in this case. 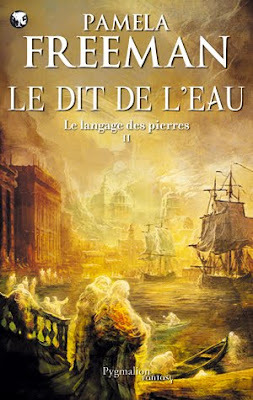 The cover artworks for the Pygmalion editions of the Pamela Freeman’s novels are made by Miguel Coimbra (above: Le Dit du Sang – Blood Ties) and by Alain Brion (below: Le Dit de l’eau – Deep Water). Both of the covers look impressive and are a great example how can an excellent cover artwork work in favor of the novel. It certainly worked for me, it only leaves me to see what the story is about. It has been a while since I’ve posted about the review copies received, so here are the latest books arrived in my mailbox. These two months have been very good for the books I bought too, with almost 50 ordered from the Book Depository and with a few more that will arrive in time for Christmas. The adventure of a lifetime is just beginning . . . But while humans have lost their belief in such things, the Hydden – little people existing on the borders of our world – have not. 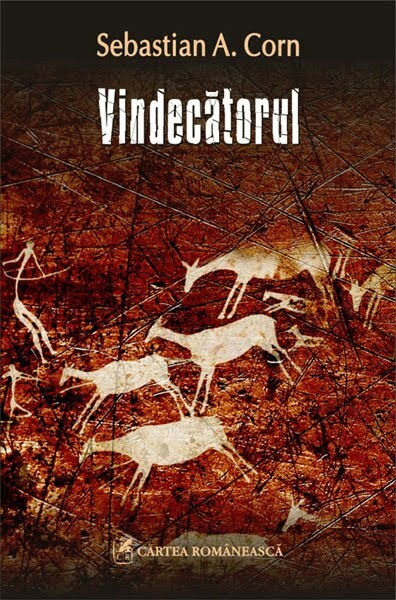 Breaking the silence of centuries they send one of their own, a young boy, Jack, to live among humans in the hope that he may one day find what has been lost for so long. His journey leads him to Katherine, a girl he rescues from a tragic accident ¬– it’s a meeting that will change everything. It is only through their voyage into the dangerous Hyddenworld that they will realize their destiny, find love and complete the great quest that will save both their worlds from destruction. Their journey begins with Spring . . . In the eight years since his first full-length novel Gridlinked was published by Pan Macmillan, Neal Asher has firmly established himself as one of the leading British writers of Science Fiction, and his novels are now translated in many languages. 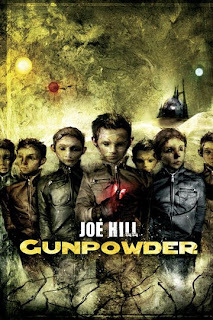 Most of his stories are set in a galactic future-scape called ‘The Polity’, and with this collection of marvellously inventive and action-packed short stories, he takes us further into the manifold diversities of that amazing universe. Out beyond the Outer Colonies lies the planet Hesiod, a gas giant surrounded by a vast asteroid belt. As the Covenant continues to glass the human-occupied planets near Hesiod, many of the survivors, helped by a stronghold of human Insurrectionists, are fleeing to the asteroid belt for refuge. They have transformed the tumbling satellites into a tenuous, yet ingenious, settlement known as the Rubble—and have come face-to-face with a Covenant settlement of Kig-Yar . . . yet somehow survived. News of this unlikely treaty has spread to the warring sides. Luckily for the UNSC, this uneasy alliance is in the path of the Spartan Gray Team, a three-man renegade squad whose simple task is to wreak havoc from behind enemy lines in any way they see fit. But the Prophets have also sent their best—an ambitious and ruthless Elite, whose quest for nobility and rank is matched only by his brutality. . . and who will do anything to secure his Ascendancy and walk the Path. - "The Apex Book of World SF" edited by Lavie Tidhar (through the courtesy of Apex Book Company). 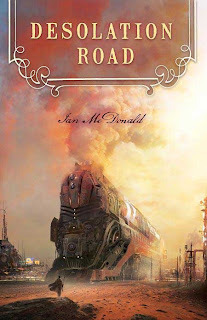 When it comes to the titles that most probably I would have missed if it weren’t for the access to information offered by the Internet, Michael J. Sullivan’s novels would be in one of the top spots of the list. “Nyphron Rising” is the third novel of “The Riyria Revelations”, and with it, the series reaches its half way point. The first two novels in “The Riyria Revelations” series came as a totally unexpected and very pleasant surprise, but that is not the case with the third novel, “Nyphron Rising”, because after reading “The Crown Conspiracy” and “Avempartha” I already established personal expectations for the Michael J. Sullivan’s works. 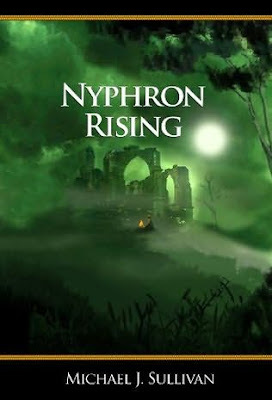 “Nyphron Rising” rises to those standards and made me travel with joy once again into the fantastic world built by the author, the world of Elan. I discovered, with pleasure, familiar places and characters, but also new ones and a few unanticipated twists and turns. One of my greatest delights when reading fantasy novels is the world building process and the discovery of the worlds imagined and born from the authors’ pens. 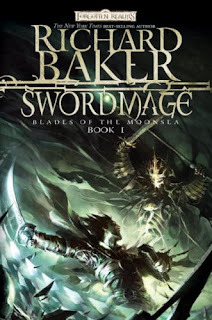 Although Michael J. Sullivan doesn’t spend so much time in the world building process compared with the more extended fantasy works his world has a clear shape and is a vivid one. In “Nyphron Rising” the world of Elan develops further on, reaching new limits and dimensions. Local and imperial politics play a more important role in the novel and this makes the world of Elan even more interesting and captivating. 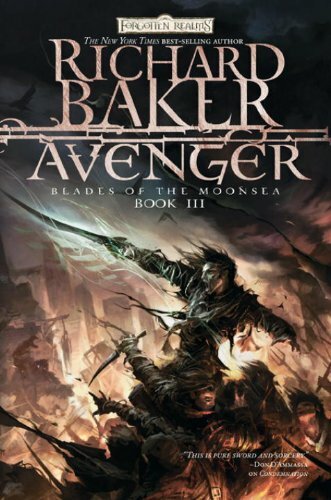 However, a wider and an obvious evolution can be seen in the main characters of the novel, and of the series, Hadrian Blackwater and Royce Melborn. The novel offered me another meeting with the two characters, feeling very much like a meeting with old friends, also offering me a new image of the characters, a deeper insight of their past and personalities. The story of “Nyphron Rising”, as those of the previous novels, comes with a page-turner adventure, with quite a lot of action, amusing dialogues and situations, with tension, intrigue and a few twists on its side. Still, although the story of the novel is resolved within its pages, in my opinion “Nyphron Rising” doesn’t stand as much on its own. 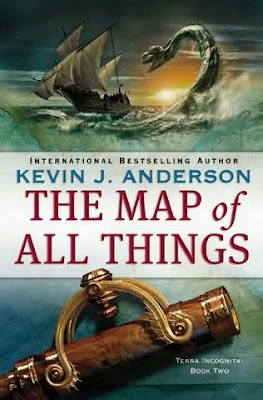 It is true that a reader can find enjoyment on the novel, but there are several parts and aspects that leave those unfamiliar with “The Crown Conspiracy” and “Avempartha” clueless about them. So, I believe that although the first two novels can be enjoyed very much on their own “Nyphron Rising” works much better if the reader explored the same two novels. “Nyphron Rising” continues to work on the general plot of the series and therefore it brings a slowing in the pace set by the first two novels and preparing it for the conclusion that awaits it in the next novels of the series. 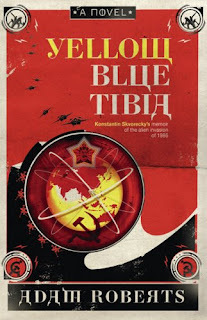 I have to say that compared with its predecessors this novel feels a bit weaker, but it offers a pleasant reading nonetheless. I also have a small issue with it, in particular with a recovery of a character after a heavy flailing that occurs too fast in my opinion and for my liking. 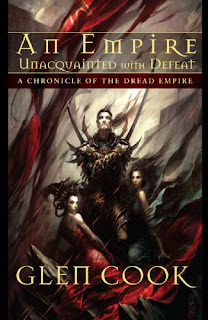 Michael J. Sullivan is not a surprise for me anymore, but an author that already established his place within the fantasy genre. “Nyphron Rising”, like Sullivan’s previous novels, offers an adventurous tale and a captivating story, returning to the roots and values of the classical fantasy. Evil waits behind the door . . .
Paris, 1633. Louis XIII reigns over France . . . and Cardinal Richelieu governs the country. One of the most dangerous and most powerful men in Europe, Richelieu keeps a constant, sharp eye on the enemies of the Crown to avoid their assassination attempts, thwart their spies and avert their warmongering. But he's up against people who will stop at nothing to achieve their goals, even going so far as to forge alliances with France's oldest and deadliest enemies. Spain, and the Court of Dragons. The nobility keep tiny dragonnets as pets; royal couriers ride tame wyverns, and lethal man-shaped scaled dracs ropam the country. But the power rising from the Court of Dragons is anything but mundane; the Black Claw sect draws on dragons as they once were: ancient, terrible, utterly merciless . . . and poised to move against France. Pierre Pevel is considered one of the best French fantasy authors, publishing seven novels so far and being rewarded with two awards, Grand Prix de l’Imaginaire in 2002 and Prix Imaginales in 2005. 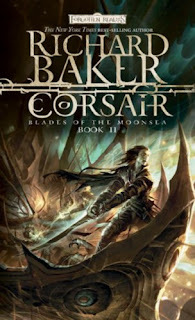 “The Cardinal’s Blades” is the first novel in a fantasy series and also the first one to be translated in English. My childhood and teenage years were fueled with dreams of great adventures, duels and historical and political intrigues in great measure by the wonderful novels of Alexandre Dumas, especially his musketeers’ series of novels. I still enjoy and find comfort in these novels that enriched my reading experience. 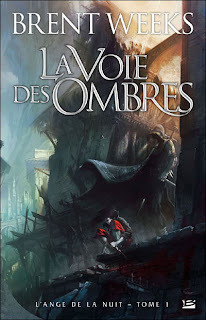 Through time I fell in love with the fantasy genre and the fantasy fiction became the main source of my readings, but I never forgot the pleasure offered by Alexandre Dumas’ novels. 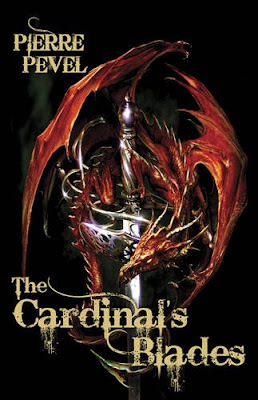 Therefore when Pierre Pevel’s “The Cardinal’s Blades” came along you can imagine how easily reached my soft spot with its blend of historical and fantasy fiction. 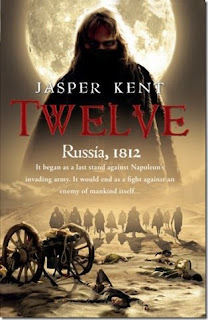 The novel is set in the 17th century France and Pierre Pevel manages to capture the atmosphere of the period and makes from the setting an important part of the novel. But this aspect is not the only one that contributes to the atmosphere of “The Cardinal’s Blades”, the reader will find himself deep within political schemes, mysteries and intrigue. 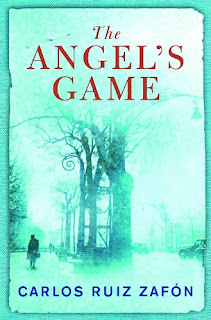 The novel left me with a pleasant sensation that each chapter reveals as much as casts a new shroud of mystery on the plot, the final chapter as its peak, resolving the novel’s plot but unveiling a new enigma that leaves the series on the edge and prepares the second novel. 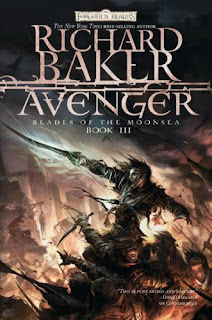 And that is not all, the novel is full of action, fighting scenes come in no small amount and the fans of swashbuckling adventures will not be disappointed. However, the novel is a blend of historical and fantasy fiction, but the fantasy elements of “The Cardinal’s Blades” are rather scarce. There is the presence of the dragons in their different forms and they play a role within the story, but that role is rather small and their presence weak. Therefore the novel feels much more like a historical adventure. The beginning of the novel, almost half of it actually, can be a bit confusing. Pierre Pevel introduces a great number of characters in the beginning chapters and I lost track for a few times of them until I got used to every single character and his place in the story. From the half way forward though the plot takes charge and everything about the novel’s character will be clearer (except the mysteries surrounding them and imposed by the story). There are quite a range of characters as well, with different personalities and attitudes. I liked some of the characters more than others, but I have to say that none of them are developed in the fullest. I believe that because of the presence of so many characters there is no room left for none of them to truly develop and therefore every single one of them will suffer of a lack of depth in their characterization. Still, I was sympathetic with a few of them. As an avid reader and an admirer of the Alexandre Dumas’ works I found in “The Cardinal’s Blades” a novel very much on my liking. 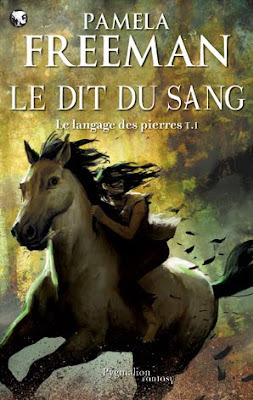 Although the fantasy elements are rarely seen the Pierre Pevel’s novel offers a fast moving story, full of action, intrigue and swashbuckling adventures. 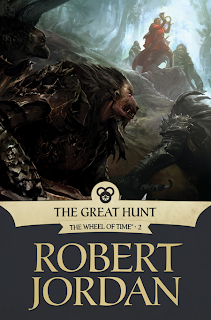 As you know and as I mentioned in a previous post Tor is releasing Robert Jordan’s “The Wheel of Time” novels in ebook format and for these editions they commissioned 14 artists to create new covers for the series. 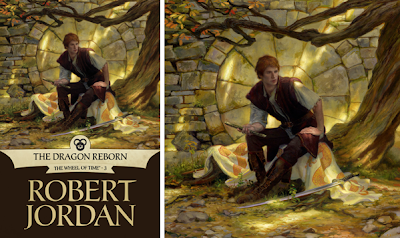 After the first two novels with covers illustrated by David Grove and Kekai Kotaki, Irene Gallo reveals on her blog the cover for the third novel, “The Dragon Reborn”, illustrated by the great artist Donato Giancola. 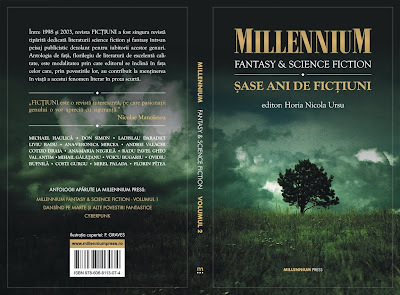 Once again I wonder if someday I will see these wonderful covers on physical copies of the novels, because I would certainly like to have them. I am also eagerly looking forward to see the cover for the next novel, “The Shadow Rising”, which will be illustrated by Sam Weber. Dark Scribe Magazine announced the nominees for its 3rd Annual Awards, Black Quill Awards. 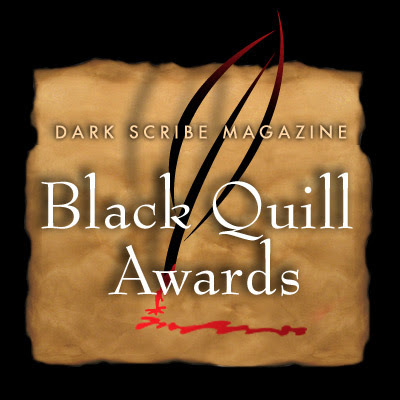 The Black Quill Awards honor the works of dark genre literature from both mainstream and small press publishers, each category awarding two winners with the Editor’s Choice and Reader’s Choice. Any registered reader can vote for his favorites from now until January 24th, 2010, when the voting is closing. The winners will be announced on February 2nd, 2010. The end of the year is almost knocking on the door and as always December is very much a month of looking in retrospective, but also a month of looking with hope into the future. I am not writing my top of the year book list already, but I am certainly working on the shopping list for the next year (although I think I’ve started working on it from the beginning of this year). Balancing the both sides I have to say though that one of this year’s titles that with certainty will be present in my end of the year top is David Moody’s “Hater” and this makes me look forward to his next novel in the Hater series, “Dog Blood”, which will be released by Gollancz next year in June, if I am not mistaken. 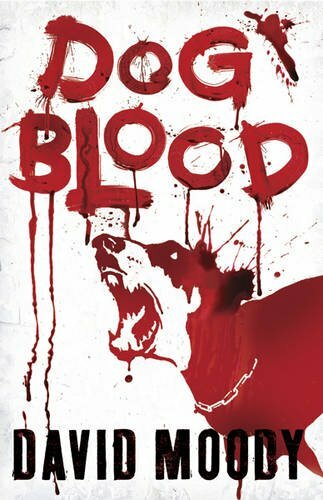 But until then I have to wonder what David Moody has in store for his story looking over the cover and the synopsis of “Dog Blood”.